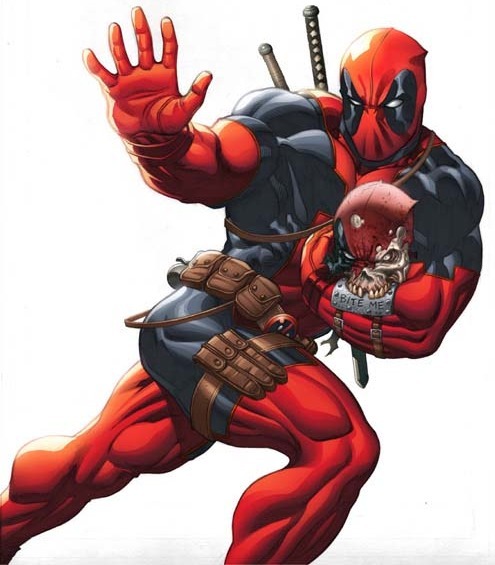 It looks like Fox is finally getting the ball rolling on Deadpool, its X-Men spin-off featuring everyone’s favorite Merc with a Mouth. Deadline.com reports that visual effects guru Tim Miller will direct, and Ryan Reynolds—who had a bit part as the wisecracking antihero in X-Men Origins: Wolverine—is expected to star. Zombieland scribes Rhett Reese and Paul Wernick are working on the script. Although the character has fallen out of favor with many Marvel Comics readers due to sheer oversaturation (I mean, how many Deadpool series do we really need? ), it’s cool that Reynolds is willing to commit to two superhero franchises from different sides of the comic book universe at the same time. He’s already starring in Warner Bros./DC Entertainment’s Green Lantern, opening June 17, and if that film rakes in the green (snort! ), sequels won’t be far behind. Furthermore, since this summer’s X-Men: First Class marks the fifth film in the franchise (with more on the way), it’s unlikely that the character’s first solo outing on the big screen will be a one-off. So, yeah, Mr. Reynolds might be busy for a few years. As for Miller, my first reaction was … who? Deadline notes that he created and owns Blur Studios, and he’s directed “numerous cutting-edge video game trailers.” Upon further inspection, he’s done visual effects work for geek-friendly fare such as Daredevil, Scott Pilgrim vs. the World and Bryan Singer’s X-Men and X2: X-Men United. This might be his directorial debut, but at least he’s played in this sandbox before. I’m curious to see how this turns out.